I cannot tell you exactly what I did when I was in alpha state because what worked for me may not necessarily work for you. What I can tell you is that there are numerous methods that anyone can use that will plant a seed in their superconscious like using autosuggestions, sigils, meditation, repetition, symbols, etc. and these are only a few ways but there are a number of ways to bypass the subconscious. That the uninitiated refers to as magic but it is simply occult science or what "mystery school teachings." 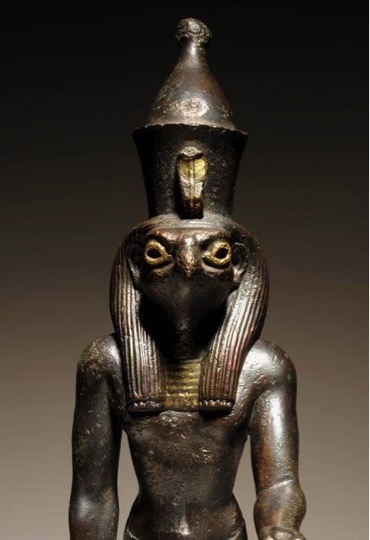 The superconscious is symbolized as Osar (Asar, Ausar or Osiris) and it should now become clear that the reason Osar was so highly exalted was because he was the original redeemer that wiped one's slate clean. It is not even about learning the history of the Kamitic people. Again, it is great and it helps if you know it but it is not necessary to practice Kamitic spirituality. It is not about trying to figure out why your enemy does what "he" or "she" does. And last but not least, yet most importantly, Kamitic Spirituality is not about following anyone or joining a group. If you're looking for someone to follow, try following your Higher Self (Superconscious/Osar).